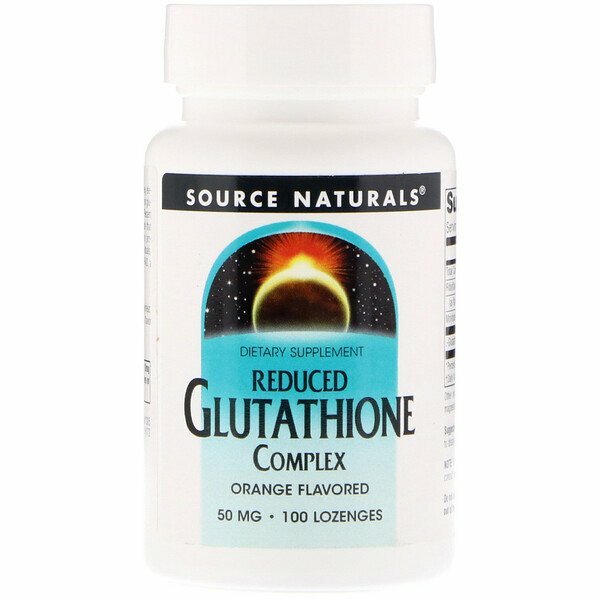 Reduced glutathione Complex contains glutathione (GSH), a key element of the liver's detoxifying process, and also the precursor for glutathione peroxidase, a major free radical scavenging enzyme. 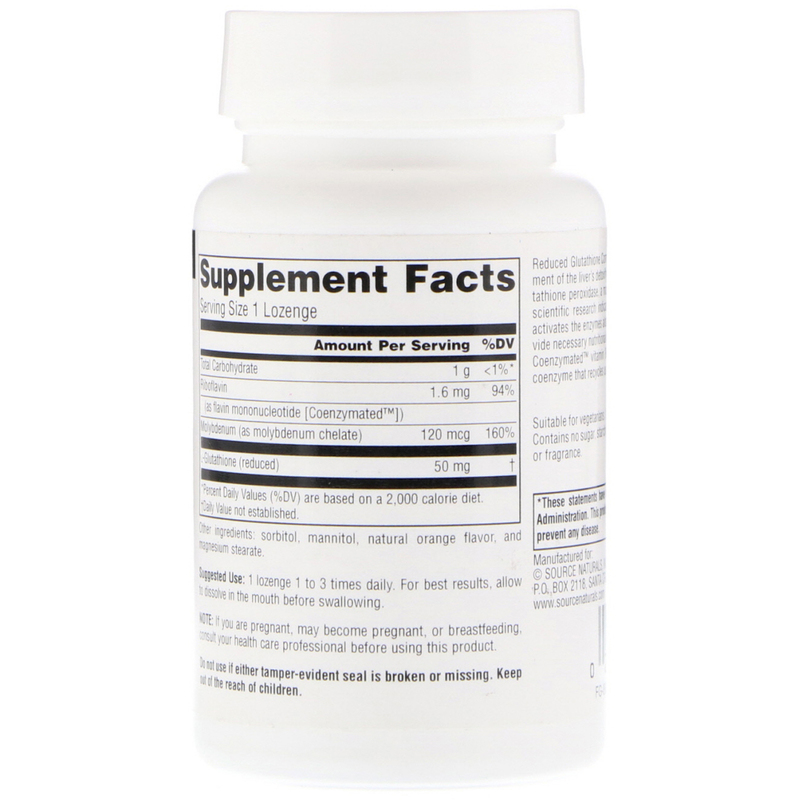 Recent scientific research indicates that molybdenum, a trace mineral that activates the enzymes aldehyde oxidase and sulfite oxidase, may provide necessary nutritional support for chemically sensitive individuals. Coenzymated vitamin B-2 (riboflavin) is the precursor for FAD, a coenzyme that recycles used GSH. 1 lozenge up to 3 times daily. For best results, allow to dissolve in the mouth before swallowing. Suitable for vegetarians. Contains no dairy, egg, gluten, soy or wheat. Contains no sugar, starch, salt, preservatives, or artificial color, flavor or fragrance.